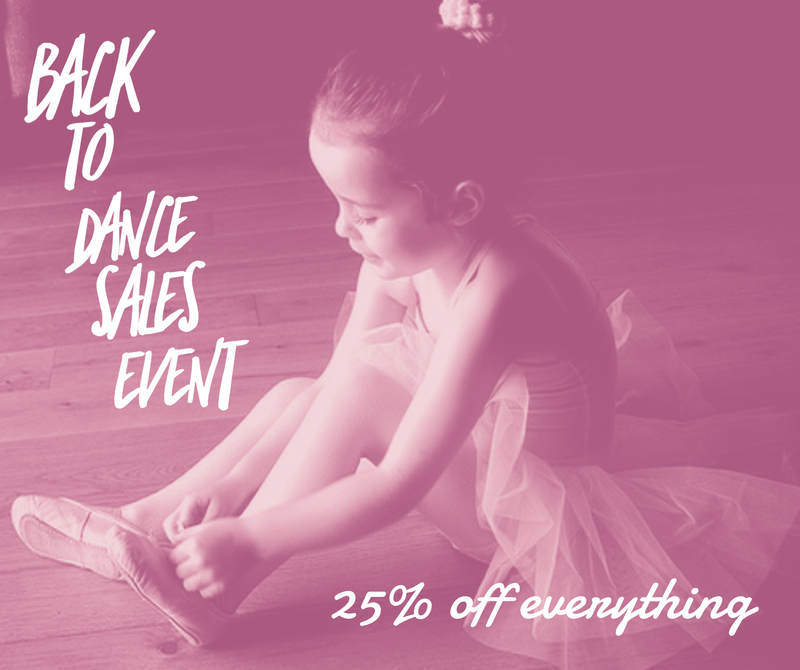 It is time for our Annual Sale to Kick off the New Dance Season! The sale is this weekend, August 12th and 13th. We will be open both Saturday and Sunday 11 to 5, these are special hours just for the sale weekend. As always the sale is 25% off everything* both in stock and special order items! There will also be swag bags with purchase and sweet treats to enjoy while shopping! Thank you for your continued support as we enter our 24th year in business! *Pointe shoes are not included in the sale do to the level of expertise and time it takes to properly fit a dancer.